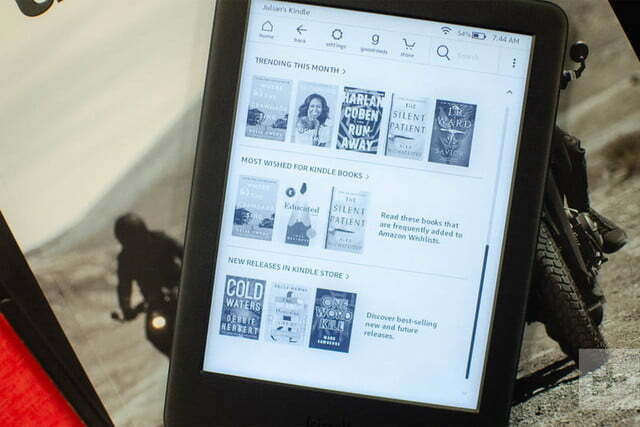 The all-new Amazon Kindle is inexpensive, but it has everything you need. Reading a book on a smartphone isn’t easy. Notifications come in, demanding attention, and oftentimes I lack the willpower to stay in the app when I know there’s a plethora of other content to access. Using Amazon’s all-new Kindle has been a breath of fresh air, because like a book, I can just pay attention to the text on the E Ink screen. It might not be the same as holding a book and flipping pages, but the Kindle is compact and pleasant to hold. 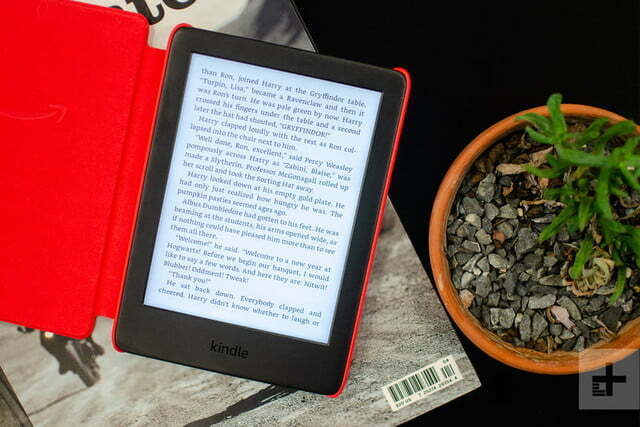 It doesn’t make a ton of changes to its predecessor, and if you spend just a little more, you can get more features in ebook readers like the Kobo Clara HD or Amazon’s own Kindle Paperwhite. But if your budget stops at $100, the $90 Kindle is all you need if you just want distraction-free reading. I can fit the Kindle in my sweatshirt pocket. I used it while walking my dog (don’t worry, I didn’t cross the road while reading), and I’ve been reading with it on the subway while commuting to work. Its compact size makes it easy to use one handed which, in turn, makes reading easier. If pockets are lacking, you’ll have to resort to tossing the Kindle into a bag or backpack – though you might forget you packed it. The ebook reader is so lightweight, it feels like a light breeze could sweep it away. Thankfully, the bezels are thick around the 6-inch screen, so it’s reasonably sturdy and feels substantial. 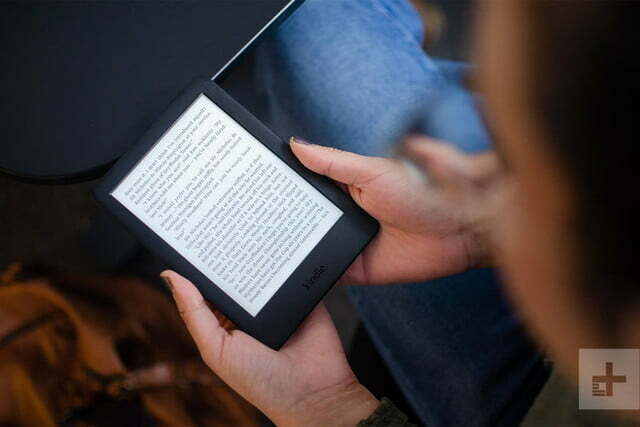 The Kindle has a plastic frame and lacks a grippy back like on the Kobo Clara HD, so it can be slippery. That’s why I opted to use the cover, which costs an additional $30. Amazon sent me a red one, which is attractive, and the thread-like fabric added some much-needed texture. The case insures the screen is protected and also makes the Kindle a little less slippery. Its compact size makes it easy to use one handed. Unlike the Kindle Oasis, the most expensive Kindle, there are no page-turning buttons. There’s just one button on the bottom to wake the display or to power it off. It’s next the MicroUSB charging port, which is the device’s only connection. I’d would’ve preferred to see a USB Type-C port. Most Android phones in the past two to three years have switched to Type-C for charging, and several laptops now use it too (including Macbooks). It’d be great if one cable was all I needed to juice up the Kindle, too. Great design isn’t a quality I associate with the Kindle. It doesn’t look contemporary like the Kobo Forma or the Kindle Oasis — but the design isn’t offensive. The compact size paired with the red cover does look cute, and I can’t help but smile every time I hold the reader in my hands. A 6-inch capacitive touchscreen sits on the front of the new Kindle. It uses E Ink technology, so the screen looks like paper. Text is easy to read, though I wouldn’t mind more contrast. Look closer, and it’s easy to notice the screen’s low resolution, especially when viewing book covers. The Kindle only has 167 pixels-per-inch (ppi), which is far lower than what you’ll find on the 6-inch Kindle Paperwhite, which has 300 ppi. I never found this to be a problem, though. The screen is more than adequate for reading. If the text is too small, there are different layouts you can choose from to lower the amount of words on the screen for easier reading, or you can just enlarge the font. This new Kindle has one big upgrade: An adjustable screen frontlight (a first for a Kindle under $100). It’s something I’ve been utilizing everyday, and it enriches the reading experience. It’s essentially a brightness slider that lets you read the screen in different lighting environments. In bed, I lowered the screen’s brightness all the way down so I wouldn’t wake my partner. Outside, I maxed it out, and it was bright enough to read the screen in direct sunlight. I do wish there was an ambient light sensor — like on the Oasis — that could do all of this for me. 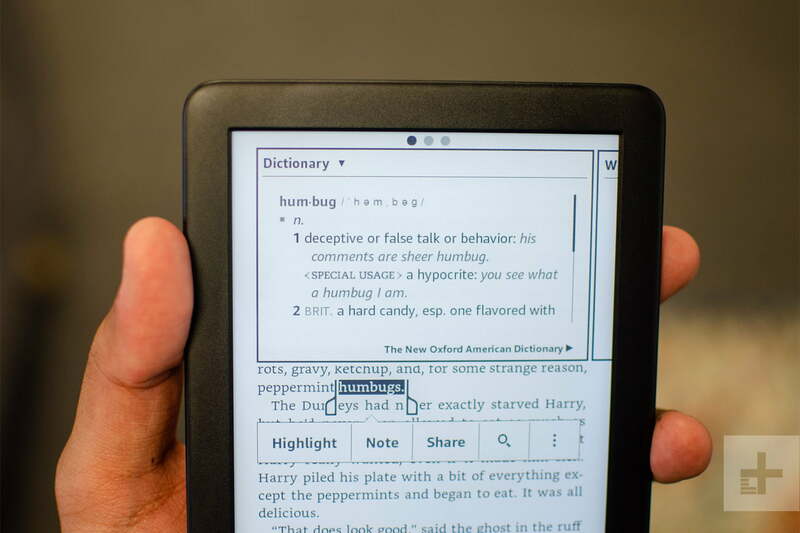 This new Kindle has one big upgrade; an adjustable screen backlight. It’s a shame there’s no blue-light filter. Most screens emit blue light, and research shows it can affect your sleep and overall health. Amazon has a blue-light filter on its Fire HD Android tablets called Blue Shade. I lowered the brightness of the screen all the way down, and my eyes didn’t feel strained, but your mileage may vary. The Kobo Clara HD has both a blue-light filter and brightness that changes automatically. The similarly-priced Kindle Paperwhite only has the latter. Only four LEDs light up the screen on the new Kindle, unlike the five and the 12 on the Paperwhite and Oasis, respectively. The Oasis also has a larger 7-inch screen that packs in 300 ppi. The screens are clearly better on the more expensive ebook readers, but I never had any major qualms with the Kindle. The Kindle is responsive to my touch, and moving through the home screen and turning pages is quick. 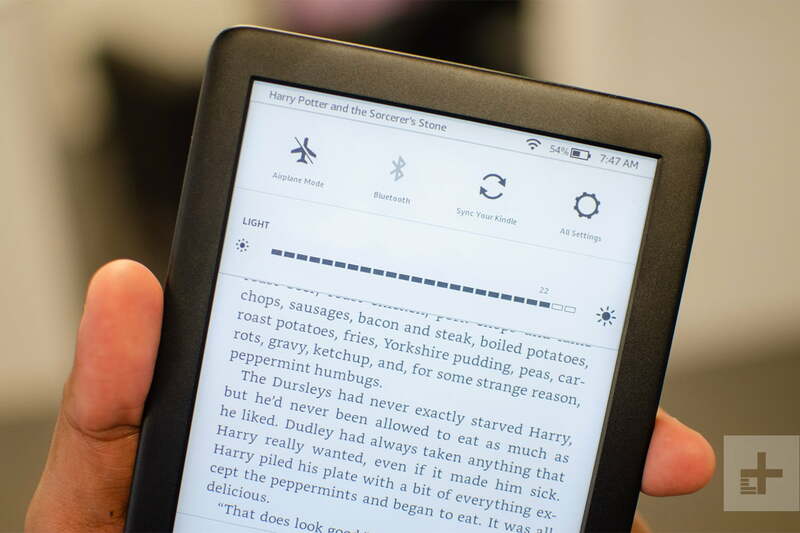 The screen flickers to remove ghost images (a feature of all E Ink screens) on the homepage and other menus, but that doesn’t happen as often while reading a book. I never saw any ghosting while reading. Using the Kindle is simple. The homepage houses your library and any reading lists you’ve created. You can also scroll down to see related books and recommendations. Amazon has a partnership with Goodreads, which means you can tap on any book and then click the Goodreads icon to browse through thousands of book reviews. 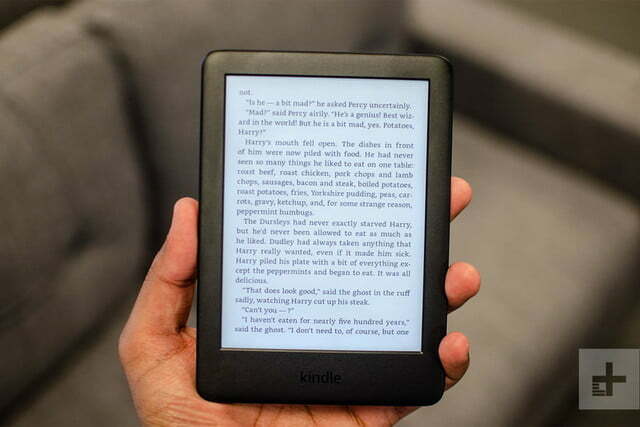 The Kindle comes with 4GB of internal storage, which should be able to hold thousands of books. To buy these books, you head to the Kindle Store on the homepage. That’s where you can access any book you want to read including audiobooks, newspapers, and magazines (the latter two aren’t available on Kobo’s equivalent store). If you don’t want to browse by category or look at recommendations, there’s a handy search bar you can use to type in whatever you’re looking for. The one feature I’d have liked to see is physical page-turning buttons, like on the Kindle Oasis, so I can stop tapping the screen to turn the page. There are moments where I’ve accidentally tapped the screen a few times and jumped back and forth in the book, which meant wasting some time just to find where I left off. There are more useful features available in the Kindle that enhance it even further. If you have an Audible account, you can connect Bluetooth earbuds to listen instead of read. My favorite feature is X-Ray, which scans the page you’re on to offer supplementary information about characters (fictional or not), places, and more. If you don’t know a word, you can just tap on it to use Smart Lookup and see the definition immediately. Tap and hold to select longer sentences or paragraphs if you want to highlight them for reference or share them to any connected social media accounts. It’s handy! There’s also an experimental web browser if you’re connected to Wi-Fi, but I never found a reason to use it, as it’s a bit slow. There are broader benefits if you pay for services like Kindle Unlimited, which you get for free for the first three months of buying the new Kindle (it’s $10 a month after that). It essentially gives you unlimited access to a certain catalog of books, and you can borrow up to 10 per month. 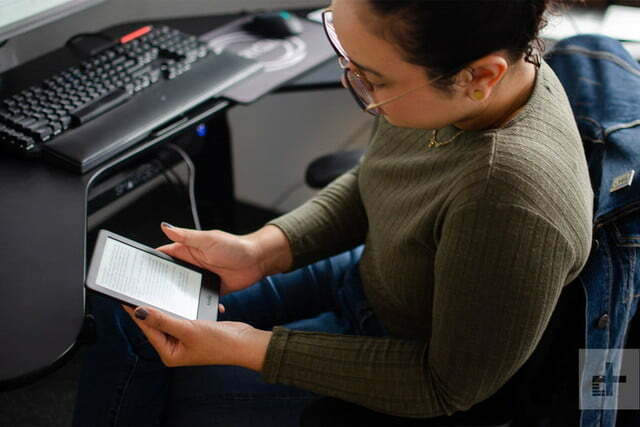 If you’re an Amazon Prime subscriber, you get access to Prime Reading, which lets you borrow books and magazines from the Prime Reading catalog. Then there’s Amazon First Reads, which gives you early access to a specific new book for free every month. Select books you buy on the Kindle Store can be shared within a family library, so no one in the household needs to buy the same book twice. I also like Kindle FreeTime, which lets you use books from your library to set reading goals for children. You can even see their progress. It’s difficult to say just yet how often I’ll need to charge the Kindle, as in the five days I’ve had it, it hasn’t needed a recharge. It’s only at 45 percent. Even that’s lower than what is likely normal, because I’ve been testing it and leaving the screen on for extended periods of time. 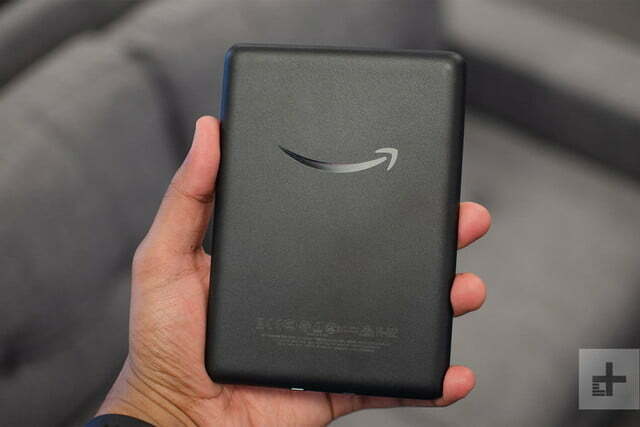 Amazon claims the Kindle can last for “weeks,” and that appears to be correct. I used the Kindle for five days straight and didn’t need to recharge. 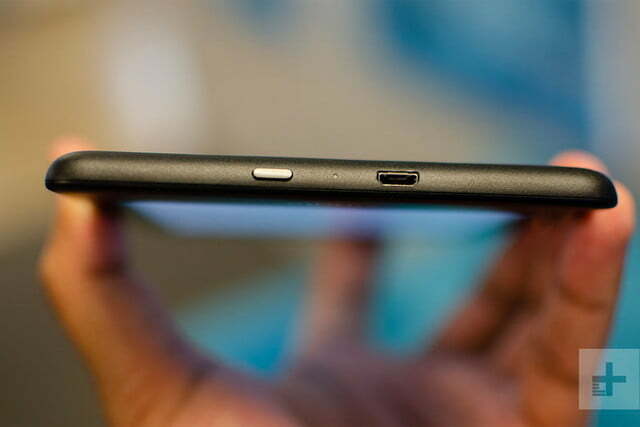 You’ll find a MicroUSB charging port at the bottom of the device. A cable is included, but no wall adapter. I wish Amazon would take the first step to bring USB Type-C to one of its Kindle ebook readers, as it’s one of the last products I still need a MicroUSB cable for. The all-new Kindle is $90 ($10 more than its predecessor), and it’s available now for purchase from Amazon. Covers will set you back an extra $30. They come in charcoal black, sandstone white, cobalt blue, and punch red. Amazon offers a standard one-year limited warranty that covers manufacturer defects. You can add an extra 1-year, 2-year, or 3-year warranty for $15, $20, and $25, respectively. Not at this price, but if you just spend $40 more, you can get better options. 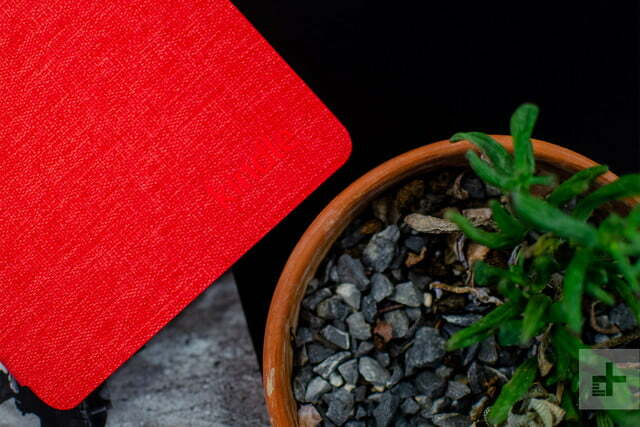 Kobo’s $130 Clara HD is our next favorite. It adds an automatic brightness slider, as well as a blue-light filter to make reading easier on your eyes. It also has a sharper screen with 300 ppi, and double the storage. At the same $130 price tag, the Kindle Paperwhite has many of the same upgrades the Kobo Clara HD offers, minus the blue-light filter. It does have an edge, though, because it’s water resistant, so you can feel safe reading in the tub. If you’re eyeing the Kindle, we strongly suggest taking a look at the Paperwhite as it’s the better buy. The sharper and brighter screen alone is worth it. If you’re looking to upgrade, only those who own an older basic Kindle should eye the newer model — the frontlight makes a difference. If you trade it in, you can get the new model for just $65. If you own an old Paperwhite, there’s no reason to trade it in just yet. Check out our guide to the best ebook readers for more. 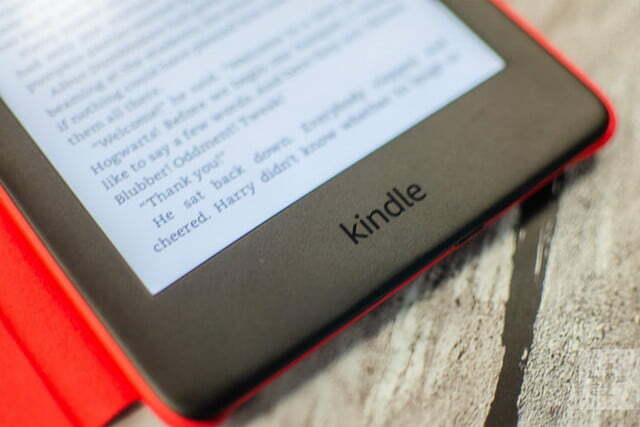 Kindles last for a long time, so we expect this model to last five or more years. There’s no water resistance, so be careful with it around water, and we recommend nabbing a cover for additional protection. 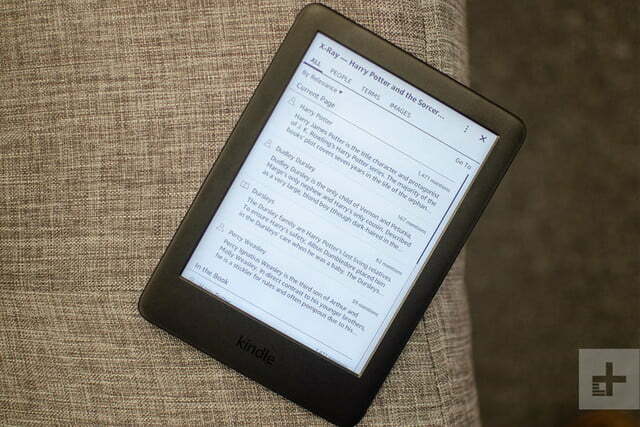 Yes, the new Kindle is a great entry-level ebook reader, but we strongly consider looking at the $130 Kindle Paperwhite as it’s value better overall at just $40 more.